Farm Bistro first opened its doors in 2016, serving good quality, healthy and wholesome food. 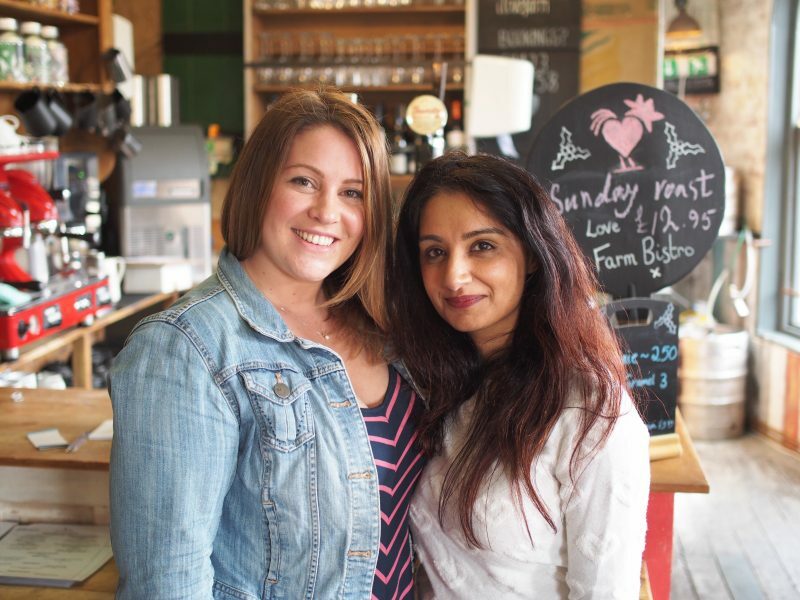 Just recently it’s changed hands and the new owners are excited to welcome more of you to the Harrogate cafe – open Wednesday to Saturday 9.30am to 5.30am and Sunday 10am to 5pm. 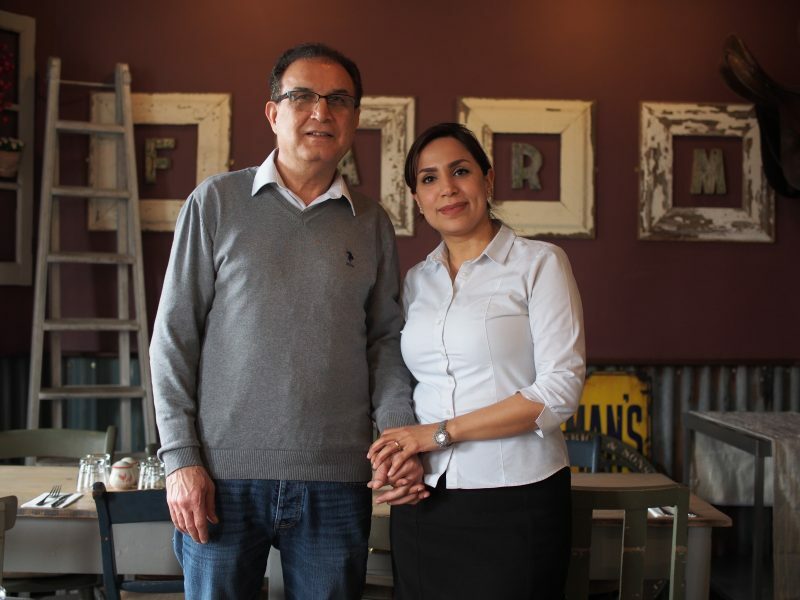 Originally from Iranian the friendly couple moved to Harrogate for Ali’s studies. Amal has a long history in catering so was looking for the opportunity to own a cafe and Farm was that perfect opportunity. Farm is a bit of a hidden gem; blink and you’ll miss it. Located next to the Yorkshire Meat Company, you will see the small single door entrance to Farm. 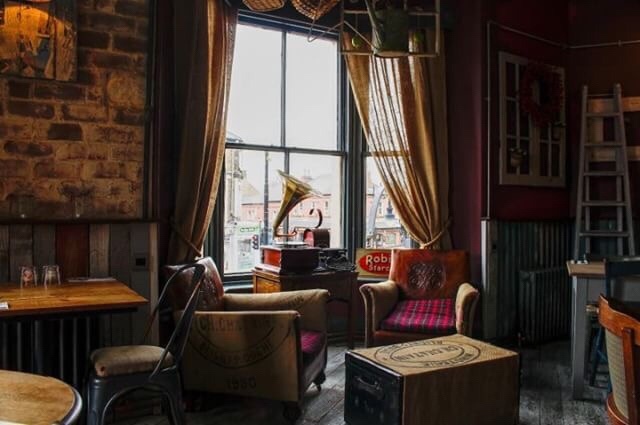 Waling upstairs, you’ll be greeted by a beautiful bright and open café with rustic interior. Everywhere you look there are little quirks which makes this café feel unique and loved. One of my pet peeves is being late, and poor Raj A.K.A Momma Up North was already waiting for me! 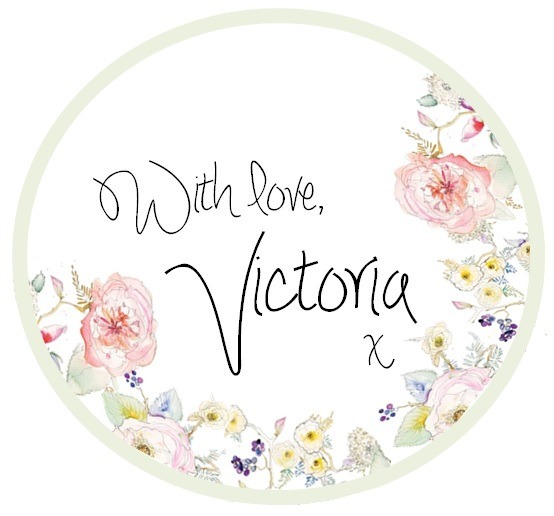 I wanted to catch up on Raj’s latest news on being a speaker at the Glitter Ball for Martin’s House and how her family are doing – plus we talked a bit of shop – like most bloggers when you get together you tend to talk about what’s new in the blogging world. It’s forever changing and we’re always learning and it’s nice to do it together. The menu at Farm is a passion for Ali as a healthy balanced diet has always been important to her back in Iran. What you can’t tell from the menu is the ethos behind the ingredients. The couple want to make sure everything is just right, and invest time into making sure the top quality ingredients is used. I ordered a refreshing Mojito Mint tea (£2.50) to wake up my taste buds which Raj had a Daleside Tea (£2.50). 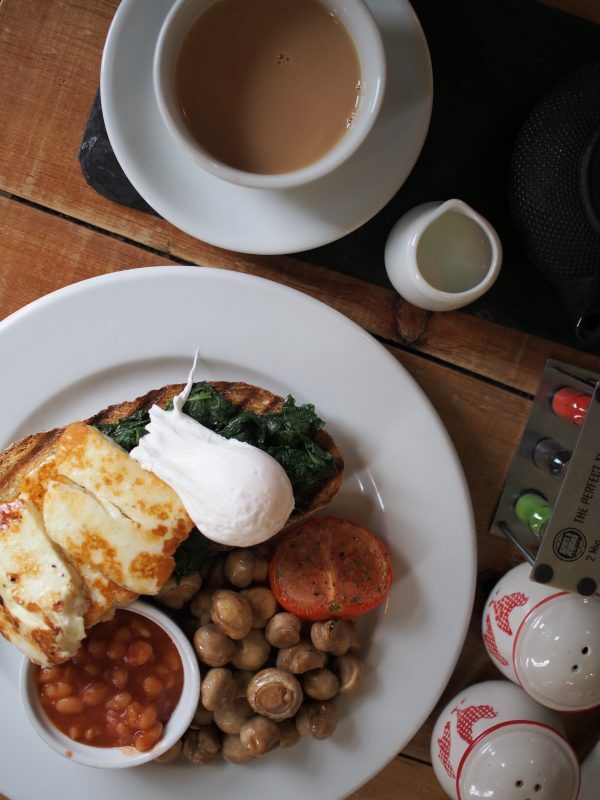 As Raj is a vegetarian she ordered the Veggie breakfast (£9.00) with wilted spinach, grilled halloumi, sautéed mushrooms, grilled tomato, baked beans, and a poached egg, accompanied by & some beautiful sourdough bread. I had a little food envy, if I’m honest – it nearly turned me veggie – nearly! 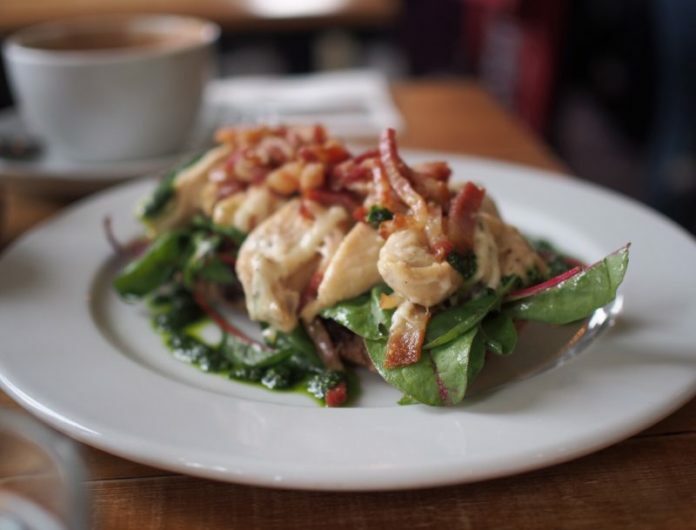 I ordered one of their most popular dishes – the chicken Aioli (£8.50) – toasted sourdough topped with beautiful free range chicken, fresh lettuce, crushed avocado, crispy bacon shards with an aioli dressing and zingy kale pesto – the portion size was fantastic. So much so I couldn’t finish it. 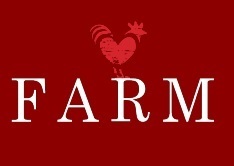 Farm is more than just a cafe, it is a lifestyle choice. 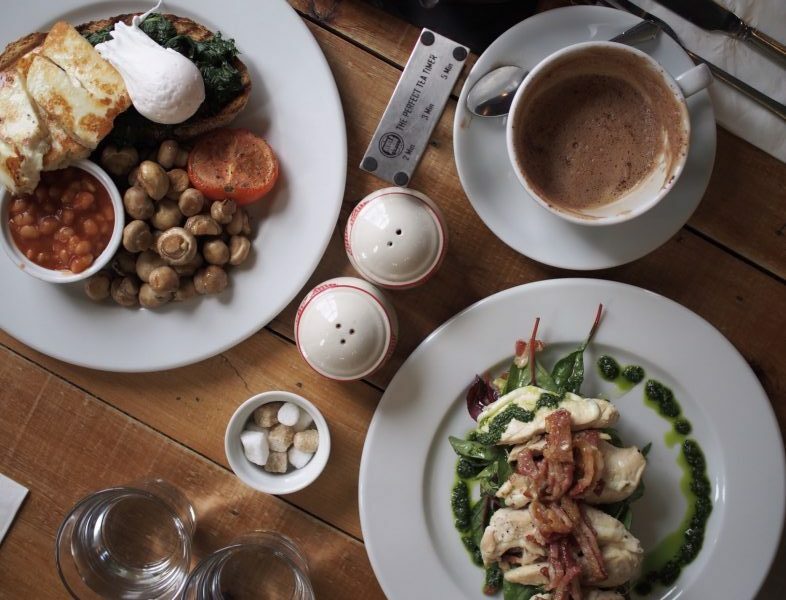 Much like the other Harrogate ‘healthy’ cafes out there, Farm offers healthy, balanced dishes but it also offers warmth, love and friendship. You must give them a try and say hi from me. Plus, you wont regret ordering the Chicken Aioli! Have you been to Farm? What’s your favourite dish? P.S. A big thank you to Ali & Amel for inviting me to eat a beautiful breakfast and chat to them about their plans. Also to Momma Up North for being super lovely – go give her a follow on Instagram! 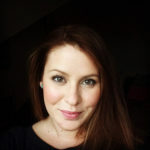 Previous articleMake Father’s Day timeless with a beautiful watch from Ryan & Gilbert plus a competition!